The H.R. MacMillan Space Centre, founded 1968, is an astronomy museum in Vancouver, British Columbia, Canada, that is located at Vanier Park in Vancouver. Inside the building, there are live demonstrations on science in the GroundStation Canada Theatre, exhibits and games in the Cosmic Courtyard, and shows about astronomy in the Planetarium Star Theatre. Next to the building is the Gordon MacMillan Southam Observatory. 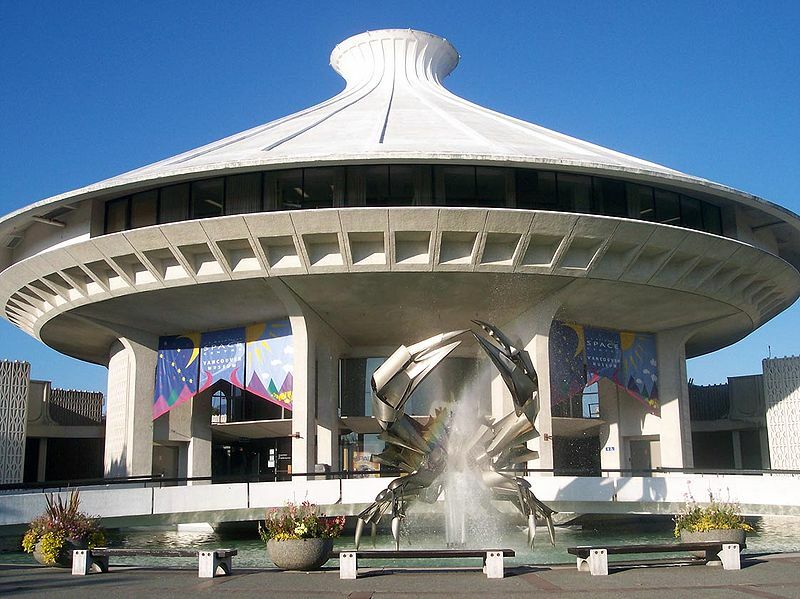 This centre of astronomy is a popular attraction in Vancouver. The Space Centre is named for H. R. MacMillan, a British Columbia industrialist and philanthropist. The building was designed in the 1960s by architect Gerald Hamilton to house what was then called The Centennial Museum. The planetarium was added as part of a pre-construction re-design. The Space Centre originated as the H.R. MacMillan Planetarium until its re-branding in the 1990s when it expanded to include exhibit space into one of the wings of the building it shares with the Museum of Vancouver. The facility was refurbished and renovated to include the Space Centre exhibit space in 1997-98 by Matsuzaki Wright Architects. 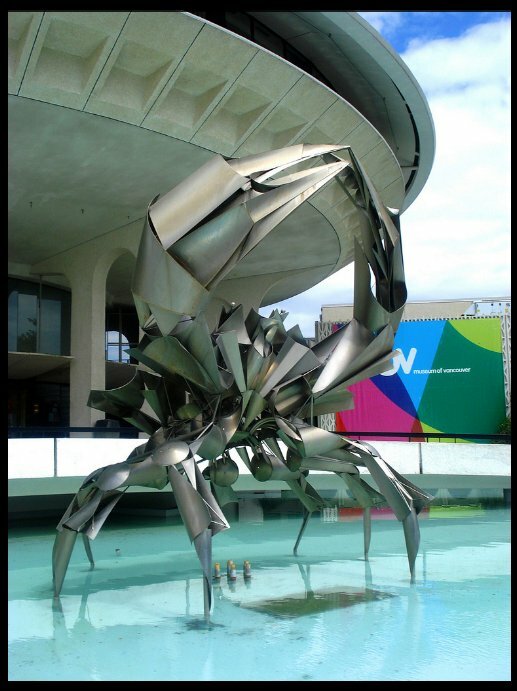 The crab rises from a pool, pincers raised overhead, a magnificent six-metre-tall sculpture rendered in stainless steel. For 46 years, the gleaming decapod crustacean has guarded the entrance to what is now the H.R. MacMillan Space Centre in a park on the Vancouver waterfront. Designed by George Norris, the crab is a work of public art that has won the approval of the public as well as that of art critics. The sculpture was chosen over two other entries in a contest held by the women’s sub-committee of the Vancouver Centennial Committee. The crab represents the First Nations legend of the crab as the guardian of the harbour and was also the zodiac sign at the time of the Canadian Centennial (the 100th anniversary of the Canadian Confederation).